Suburbs of Jackson: JAX, Jksn, JXN, A H McCoy Federal Bldg, Jackson State University, Metrocenter, Millsaps College, Regions Bank, VISA. Jackson is also known as: Rankin County / Jackson city. Their current mayor is Mayor Tony Yarber. Zip codes in the city: 39269, 39271, 39272, 39282, 39283, 39284, 39286, 39288, 39289, 39296, 39298. Hinds County funeral flowers can be purchased from one of the local funeral shops we partner with. Some of the notable people born here have been: Fred Smoot (american football player), Jackie Slater (american football player), Jerious Norwood (american football player), Mike Espy (american football player), Freeman McNeil (american football player), Tommy Kelly (american football player), and John Arthur Eaves (politician and lawyer). 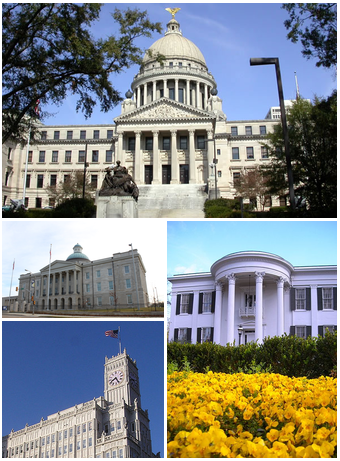 Jackson is the capital of and the largest city in the state of Mississippi. It is located in Hinds County on the Pearl River, which drains into the Gulf of Mexico, and it is part of the Jackson Prairie region of the state. The city is named after General Andrew Jackson, who was honored for his role in the Battle of New Orleans in the War of 1812, and later was elected as US president.The current slogan for the city is "Jackson, Mississippi: City with Soul." It has had numerous musicians prominent in blues, gospel and jazz, and was known for decades for its illegal nightclubs on the Gold Coast; one site has been designated for the Mississippi Blues Trail.The city is the anchor for the metro area. While its population declined from 184,256 at the 2000 census to 173,514 at the 2010 census, the metropolitan region grew. The 2010 census ascribed a population of 539,057 to the five-county Jackson metropolitan area.The city was ranked third as the best "Bang For Your Buck" among the United States' 100 largest metro areas, according to Forbes magazine. The study measured overall affordability in living costs, housing rates, and more.In 2011 USS Jackson (LCS-6) was the first ship of the United States Navy to be named in honor of the city. It was revealed by Sarasota Herald-Tribune on March 29th, 2019 that Albert Brian Craven perished in Valrico, Florida. Craven was 60 years old and was born in Jackson, MS. Send flowers to express your sympathy and honor Albert Brian's life. It was noted by Sacramento Bee on December 2nd, 2018 that Peggy Johnson (Armstrong) perished in Roseville, California. Ms. Johnson was 83 years old and was born in Jackson, MS. Send flowers to express your sympathy and honor Peggy's life. It was noted on November 27th, 2018 that David E Johns died in Jackson, Mississippi. Johns was 68 years old. Send flowers to express your sorrow and honor David E's life. It was disclosed on November 11th, 2018 that Judith "Judy" Reeves (Cragon) perished in Tampa, Florida. Ms. Reeves was 87 years old and was born in Jackson, MS. Send flowers to share your condolences and honor Judith "Judy"'s life. It was noted on September 23rd, 2018 that Mary Anne Wilbourne (Pickett) perished in Cary, North Carolina. Ms. Wilbourne was 84 years old and was born in Jackson, MS. Send flowers to share your condolences and honor Mary Anne's life. It was written on August 21st, 2018 that Paul Anthony Portera passed away in Jackson, Mississippi. Portera was 91 years old. Send flowers to express your sympathy and honor Paul Anthony's life. It was noted by The Commercial Appeal on July 29th, 2018 that Robert "Bob" Sandifer died in Franklin, Tennessee. Sandifer was 88 years old and was born in Jackson, MS. Send flowers to express your sympathy and honor Robert "Bob"'s life. It was noted on July 19th, 2018 that Oida C Gray passed away in Haines City, Florida. Gray was 91 years old and was born in Jackson, MS. Send flowers to express your sympathy and honor Oida C's life. It was disclosed on May 16th, 2018 that Nelda Delene Smith passed on in Tyronza, Arkansas. Smith was 66 years old and was born in Jackson, MS. Send flowers to express your sorrow and honor Nelda Delene's life. It was revealed on May 12th, 2018 that Larry L Rev Faulkner passed on in Jackson, Mississippi. Faulkner was 62 years old. Send flowers to share your condolences and honor Larry L Rev's life. Planning a funeral can become stressful. iMortuary provides comprehensive listings of the funeral providers located in Jackson. Browse our site to locate the funeral homes, cemeteries, cremation providers, and funeral flower arrangers in your area. Jackson was named after Andrew Jackson after the 7th president, but this wasn't always the case. It is not clear what the people of the Choctaw Nation called this area before Europeans settled it in 1820, but we do know that the area was initially named Parkerville by the settlers. It was then changed to LeFleur's Bluff, after a French Canadian trader. After the Battle of New Orleans the name was changed to Jackson in recognition of his victory. 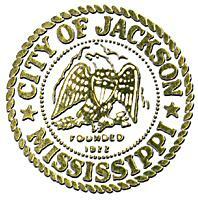 The official website for the city of Jackson is http://www.jacksonms.gov. Funeral services for Mississippi State defensive end Nick Bell will be Saturday ... This is some pretty powerful video posted on the Jackson Clarion-Ledger. Listing all funeral homes in Jackson, Mississippi so you can easily send flowers to any location (same day delivery) or find any funeral service. funerals in Jackson, MS 39201 on Yahoo! Local Get Ratings & Reviews on funerals with Photos, Maps, Driving Directions and more. Directory of Jackson Funeral Homes in MS yellow pages. Find Funeral Homes in Jackson maps with reviews, websites, phone numbers, addresses, and business profiles.